Retired Staff Sgt. Jeremy Boutwell traveled to Washington, D.C. last weekend for the Inaugural Navy-Air Force half marathon in preparation for next month’s Marine Corps Marathon. 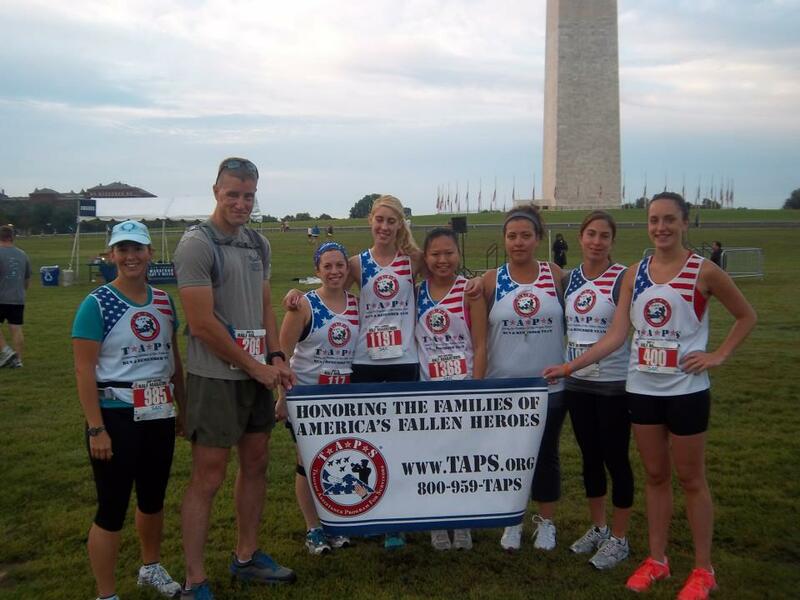 In preparation for next month’s Marine Corps Marathon, retired Staff Sgt. Jeremy Boutwell and I decided to run the Navy-Air Force half marathon last weekend in Washington, D.C. Jeremy flew in from Texas on Sept. 14 and after a well-balanced meal of spaghetti, Oreos and Gatorade Saturday night, we felt ready to run 13.1 miles. Before crossing the start line, we had a chance to mingle with other Run and Remember teammates who were racing. Several runners, in addition to Jeremy, flew in from out of town. Thanks to an extraordinarily scenic and flat course, we ran an 8:38 pace per mile and finished in 1:52:55. We both agreed the pacing on our first three miles was slower than we anticipated. A slightly crowded start and an unfamiliarity with racing side by side probably had something to do with how fast (or slow!) we weaved in between other runners. “I don’t know what happened to our pacing, but we evened it out in the end. By mile six we were just rolling right through it and by the half way point we were feeling pretty good,” Jeremy said. Jeremy told me after the race he started to have back pain around mile four and that the worst of the pain came at mile eight. He admitted he was gritting his teeth for most of the course. Jeremy battles regular pain brought on by injuries from a 2004 IED attack. “I was just thinking about finishing the race. I didn’t want to let anyone down. I always say the same poem, ‘Invictus’ by Robert Henley, over and over to myself in my head when I get real bad pain. I just try to zone out and run,” Jeremy said. The last verse, “I am the master of my fate and the captain of my soul,” is a phrase from which Jeremy routinely draws comfort and motivation. We still have a lot of training to do, including an 18-mile training run this weekend. It will be the longest either of us have run during our preparation for the marathon and, of course, we won’t be able to pump each other up with words of encouragement as the trail gets tough. So, this weekend will be a challenge. While Jeremy repeats “Invictus” to himself, I’ll be reminding myself to put one foot in front of the other. Lather, rinse, repeat. No race would be complete without a photo at the finish line. We ran an 8:38 pace per mile and finished the course in 1:52:55. 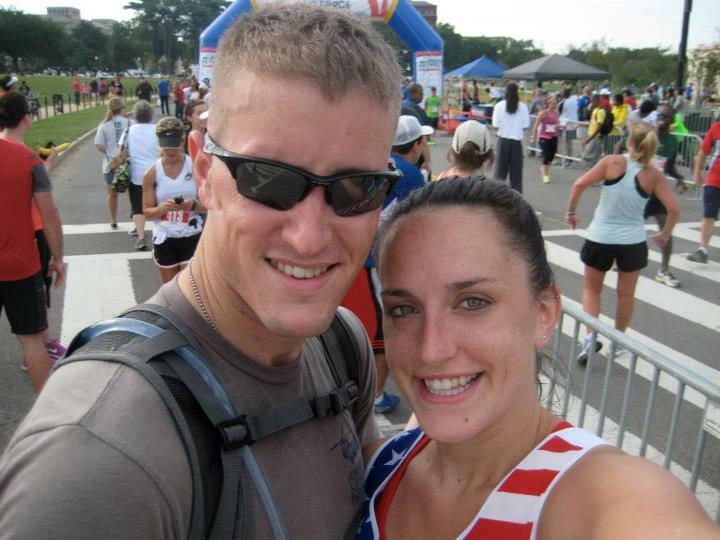 Jeremy and I couldn’t be more confident that we’ll both be ready for Marine Corps Marathon after last weekend’s race. We were able to validate a pace and pin down how long we’ll spend at each water stop. And while Jeremy is nervous for how his body will respond to running 26.2 miles, we’ll both be ready to take it one mile at a time. “I’m not running [the marathon]for me. 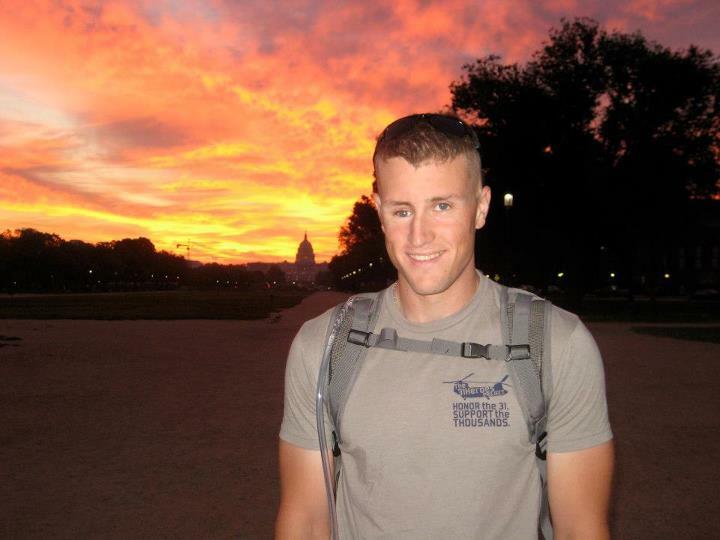 I’m running it for Marines that are no longer with us. I’m going to do anything I absolutely have to do, up to and including, crawling my way across that finish line,” Jeremy said.